The term "linear foot" refers to the number of feet in a straight line. It is a one-dimensional measurement. When painting, you are often covering a large area that is not simply a straight line, so you must measure the linear feet you are painting and convert that measurement to square feet. Each gallon of paint covers about 350 square feet of surface area. 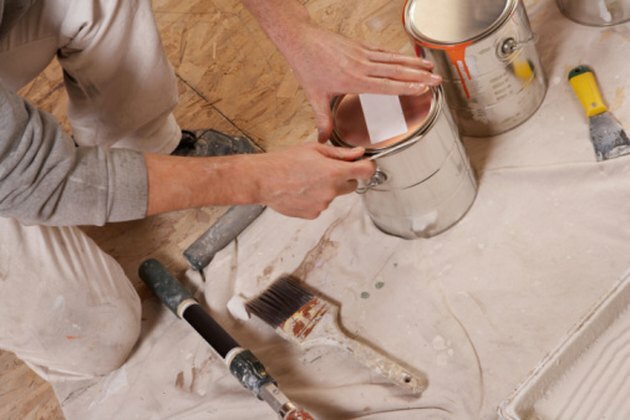 Estimate the amount of paint you need before beginning your project. Measure the length of the wall you intend to paint. This is a linear-foot measurement. Measure the height of the wall. This is a linear-foot measurement also. Multiply the two measurements together to determine the number of square feet in the wall. Continue to measure the length and height of each wall, multiplying the measurements to obtain the total square feet of each wall. Add the square feet of each wall to determine the total square feet of the walls in the room. 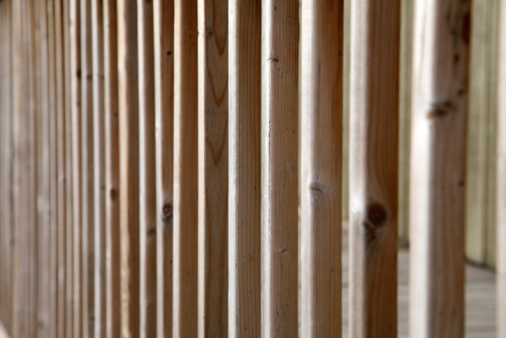 If the height of each wall is the same, there is no need to remeasure the height each time. Likewise, if two facing walls are equal in length, there is no need to remeasure. Measure the height and width of each window and door to determine the square feet of these areas in the same manner. Add the square feet of each window and door to get the total square feet of non-paintable areas in the room. Subtract the total square feet of the doors and windows from the total square feet of the room to determine the total square feet of paintable surface area in the room. Divide the total square feet of paintable surface area by 350 to determine the number of gallons of paint needed to cover the walls in the room. Double the number of gallons if you plan to apply two coats of paint to the walls. Chasity Goddard has been writing poetry, fiction and nonfiction since 1996. Her work has appeared in "Backspace" magazine, "Sepia Literary Magazine" and the "Plowman Press." Goddard holds a Bachelor of Arts in creative writing with a specialization in women's studies from the University of Tennessee.